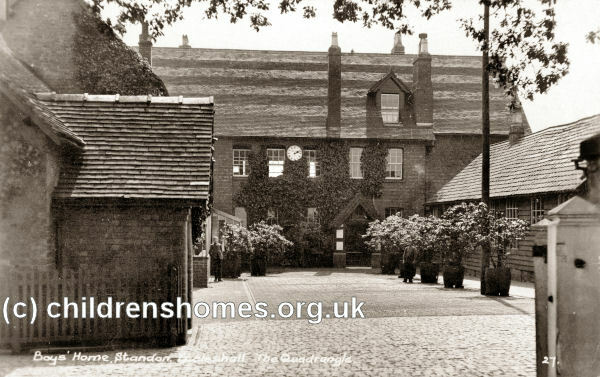 The Standon Boys' Farm Home was established by the Waifs and Strays Society in 1885 at Weston Lane, Standon Bridge, near Eccleshall, Staffordshire. 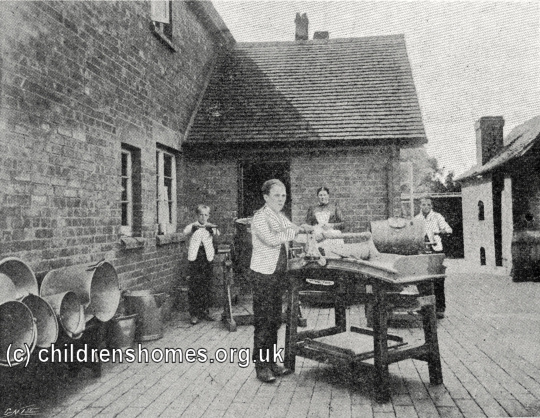 It was only the second boys' home to be operated by the Society. 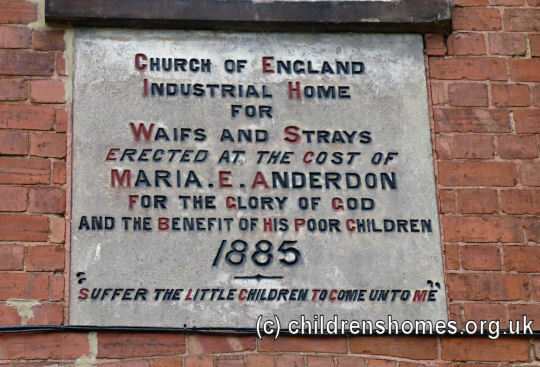 At the official opening on May 27th, 1885, a commemorative plaque was unveiled by Miss Maria Anderdon who had donated over £2,000 towards the cost of the home. A service of dedication was performed by the Bishop of Lichfield. The building was designed by Mr E. Hoole, of London. A plan of the ground and first floors is shown below. 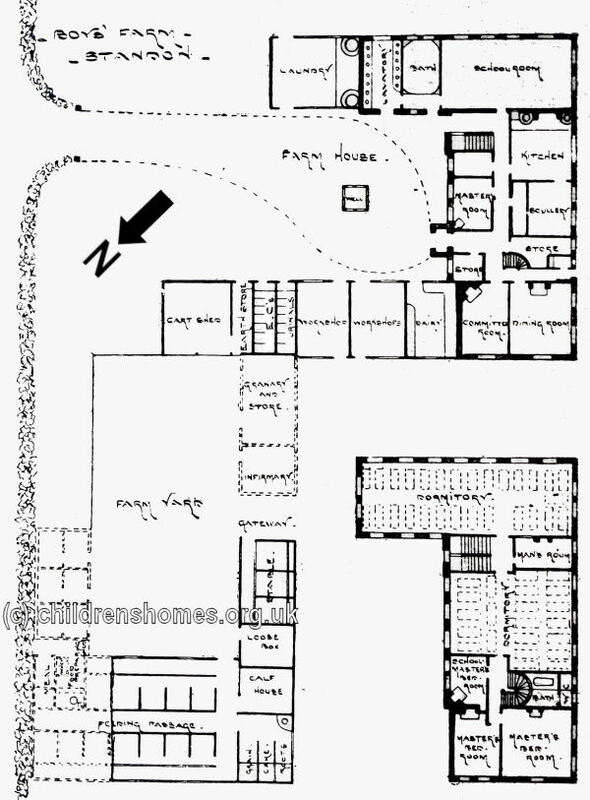 The layout of the home is shown on the 1924 map below. 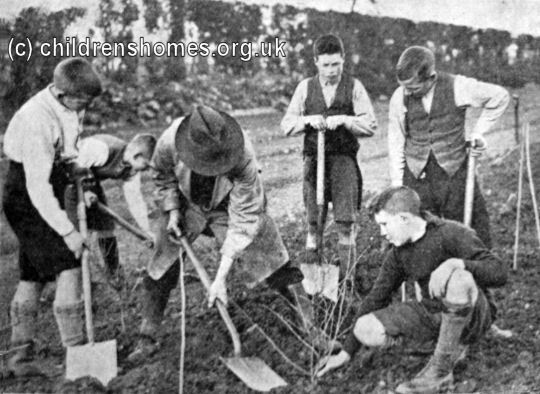 Standon Boys' Farm Home site, c.1924. 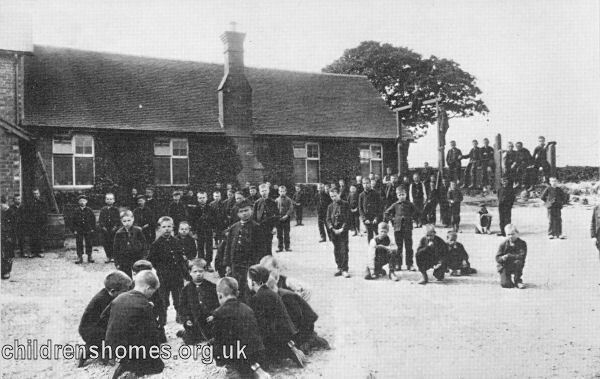 On October 16th, 1885, the home was officially licensed as a Certified Industrial School, enabling it take receive boys sentenced by magistrates to detention in such an institution. 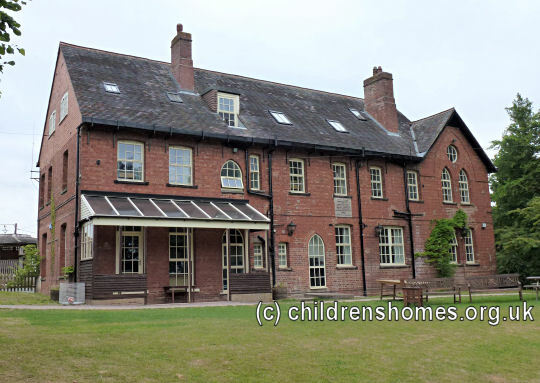 Standon initially provided accommodation for 50 boys aged from 10 to 14. Extensions to the buildings in 1889 and 1892 increased its capacity to 90. In 1908, the upper age limit was raised to 16. 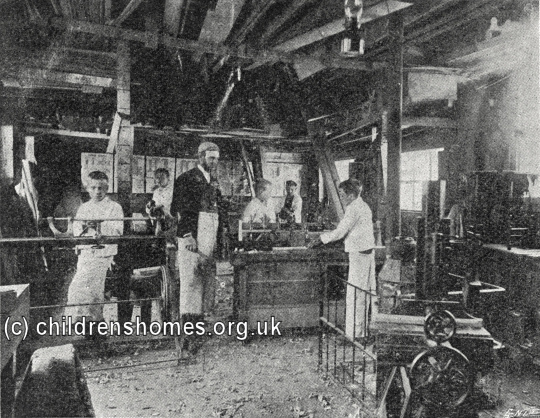 The boys were given 'industrial training' to improve their employment prospects in later life. 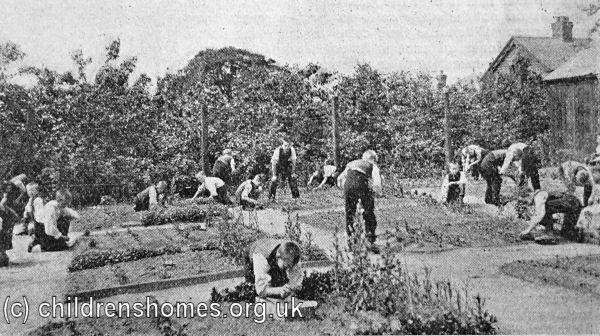 As might be expected, training at the Farm Home gave prominence to subjects such as gardening, farming and animal husbandry. The boys cultivated more than fifty acres of land leased from Miss Anderdon's brother, Thomas Salt MP. 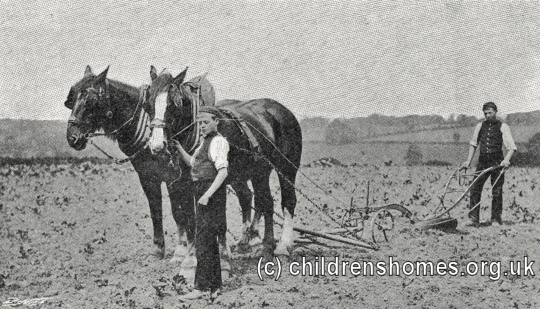 Several horses were kept for pulling ploughs and harvesting equipment, and also for working the pumps that raised the home's water from a deep well. The farm's stock also included a herd of cows. 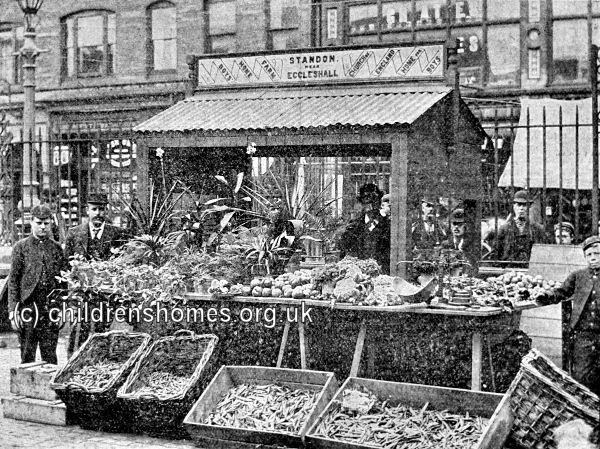 The farm's produce included fruit, vegetables, milk and butter, much of which was sold at local markets, including Stoke-on-Trent. 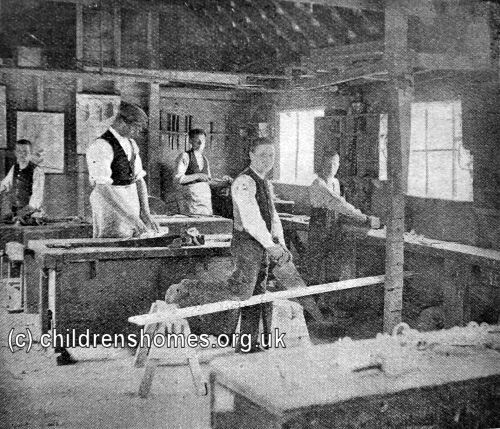 As well as agricultural work, the Standon curriculum included cabinet-making, building and engineering. Physical exercise was a regular part of the boys' routine and included drill routines and gymnastics. 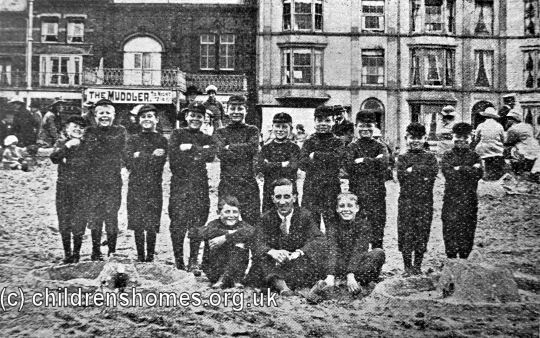 Recreations at the home included football and the home had its own team which competed against other sides in the area. 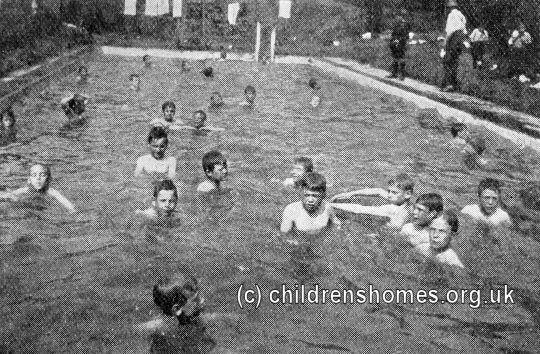 The home also had a swimming bath where a swimming gala was held each year. The pool is still in use, though somewhat modernised. 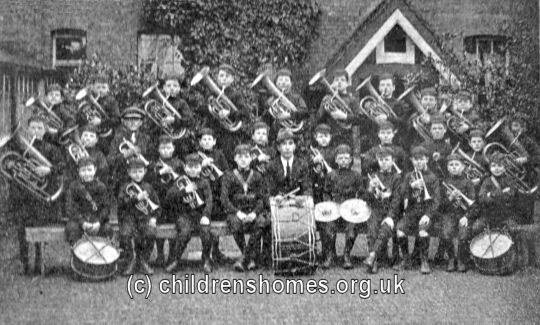 Boys with musical leanings could join the home's brass band, something that could lead to a future career as a military bandsman. The summertime usually included a holiday visit to a seaside town such as Rhyl, in North Wales. Below is an account (slightly abridged) of a visit to the Home in 1892. 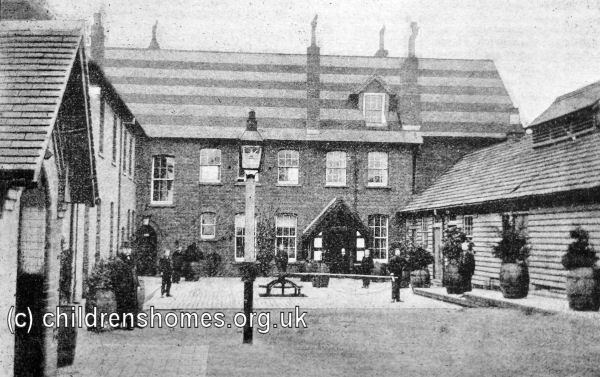 I have always taken a great interest in the Home at Standon from the time of its establishment, but knowing great development had taken place since then, I was very anxious to pay a visit, and the more ready to accept the kind invitation of the master, Mr. W.J.C. Day, that I should spend twenty-four hours among the boys, and become, for the time being, a "Standon boy." The other day I availed myself of the opportunity, and, after some three or four hours' journey, found myself at Standon Bridge Station, and Mr. Day waiting to receive me. We proceeded about a mile along a pleasant road, gradually ascending all the way from the station, till we reached the Home, which is built on high ground, having beautiful views from all points. The Government Inspector describes the situation as being one of the finest in the country for an industrial school. The wind was blowing a gale when I ended my journey, and I realised how it is, if this "free movement of the air" is frequent — and I was told it is — the boys are so healthy. 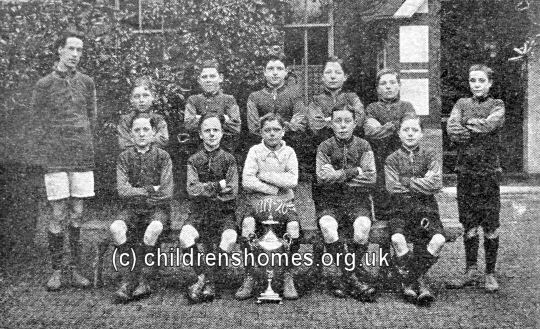 The boys were at tea when I arrived, and, as I was to be a "Standon boy," I was invited to sit down with them. The plate of bread and jam placed before me fairly took away my breath, and to see the way in which the "other boys" demolished it was very tantalising; but twenty-four hours of the fresh Standon air made a great difference in my appetite. After tea we had evening prayer. The Psalms for the day were chanted, half the boys taking the Cantoris, and half the Decani verses. It happened to be the fifth day of the month, and I could not but feel how true were the words in many instances to the lads, "Thou hast been my succour." " When my father and my mother forsake me, the Lord taketh me up." After prayers, I joined the lads in their games of bagatelle, chess, draughts, etc. At 8 o'clock, after a hearty "Good night," the "other boys" went to bed, but I was allowed "for once" to stay up a little longer, that I might have a chat with Mr. and Mrs. Day about the boys; for it was not so much the buildings I had come to see, as the boys in the Home ; and a home it really is. We talked for a long time of the boys, their history, characteristics, etc. ; and a fine set of fellows they mostly are. Many on admission are very weakly, but the good food — and they believe in good food at Standon — soon puts them right. I saw one boy, 5 feet 8 inches in height, just leaving for a situation on a farm, strong and well built, looking fully prepared, from a worldly point of view, to engage in life's battle; he had also been a regular communicant for some time, and, like many others, gave promise "for the life that now is, as well as the life to come." Here comes in the value of our Society. Day by day distinctive Church teaching is imparted, and the quiet influence at work cannot but affect those brought under it; and if anyone doubts the need and the blessing, under God, of our Society to the children committed to its care, let him do as I did – visit Standon, and have a few hours' talk with Mr. and Mrs. Day. And this is only one of the Society's Homes. Boy (in want of a place): "Sir, do you want a boy?" Farmer: "Do you come from the Standon Home?" Farmer: "You are no good at all if you do not come from the Standon Home." The time for bed came at last, and I slept peacefully in this "haven of rest." At 6 o'clock a.m. I was rudely awakened by the sound of a bugle, and found it was the signal for "getting up." All smartly dressed, folded up their bed-clothes, and then reverently knelt for a few words of silent prayer. The lavatory was visited next; and here in right good earnest is inculcated the truth that "cleanliness is next to godliness." Every boy stripped to the waist, and washed from the head downward; this is done twice a day. Work came next, till 8 o'clock, then breakfast. After morning prayer, the serious part of the day's work began. Boys over 10 years of age are divided into two sections, "A" and "B." "A" are at work while "B" are in school, and vice versa. 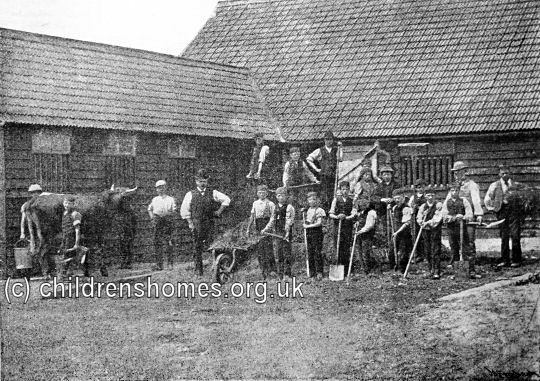 Some went off to the farm for digging, ploughing, and attending to the cows, horses, pigs, and poultry; others to the house work, kitchen, laundry, tailors' shop, and needle-room. I visited the school, and found the boys hard at work, under the care and training of an experienced certificated schoolmaster. The work they were doing was highly creditable, and all were looking forward to a good "passing" at the examination. Last year, I was told, the percentage of "passes" was ninety-eight. I looked in at the tailors' shop, and saw the little workers busy; for all the clothes are made and repaired here, as also much of the outfit clothes. In the needle-room a few were darning the socks, for boys will make very large holes sometimes. The laundry was next visited, and here three boys were hard at work washing and mangling. Then to the kitchen and scullery this is an important department, from the boys' point of view. Other boys were polishing the floors of the dormitories, for these are stained and beeswaxed; this does away with the necessity of frequent scrubbing, which, in a large bedroom, is always objectionable, especially in the winter time. There is very little idle time allowed at Standon; all must be doing something, either work or play, for the latter is as much insisted on as the former. I took my part in a splendid game of football with the boys, which was as keenly contested as if it had been a "big event." I now looked over the buildings. 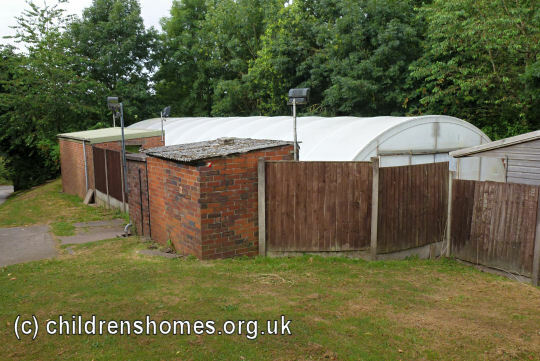 The house is very pleasantly situated, and the field in front is the "play field." 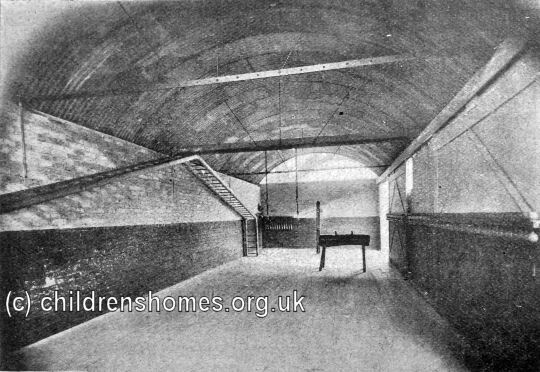 The interior consists of three dormitories, with bedroom accommodation for ninety boys. Kitchens, sculleries, refectory, schoolroom, office, dispensary, stores, and workshops, with apartments for the officers and servants; all was in good order, clean and comfortable; but there was lacking pictures for the walls, which I trust some friends will supply. At 12 o'clock, work ceased for the morning, and the boys had their drill, dumb-bell exercise, and the band was mustered; this is quite a feature, the smart hussar uniform adds much to its appearance. 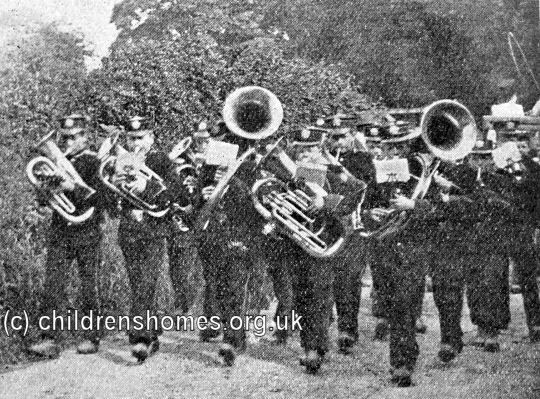 The band has been a great success; it is nearly self-supporting, and is much in request at fêtes, garden parties, school treats, etc., for many miles round. It is a full military band, with brass and reed instruments. They performed some selections of music for my especial gratification, with great taste and expression. At 12.45, dinner, which we were all ready for — roast beef, potatoes, vegetables, and bread, washed down with "water"; this last, i.e., the water, is obtained from a well 150 feet deep, the pumps being worked by one of the farm horses. I spent the afternoon on the farm. There are fifty acres under cultivation, and I was pleased to see the hearty manner in which the boys worked. There were nine head of horned stock in the new cowhouse, which has lately been erected, to replace that destroyed by fire last April. There were also fifteen pigs, and a number of poultry. The farm horses were good strong animals; and such are needed, for the land, on account of the long slope of the fields, is difficult to work. There was also some good work going on in the garden, in preparation for the coming season. Mr. Day has planted a large quantity of fruit-trees, and looks forward to a profitable return ; certainly they looked most healthy and thriving. At 5.30 p.m. the bugle again sounded "cease work" and "fall in for washing" ; then tea, and prayers. I mentioned previously that the general health of the boys is excellent, but some require very careful and special treatment, more so on admission, and some provision is necessary for this. It is hoped, before long, to erect a small infirmary, for at present there is no accommodation whatever for the sick, beyond the dormitories, and it is imperative in many cases to isolate. My visit was now at an end; and I bade "good-bye" to all. 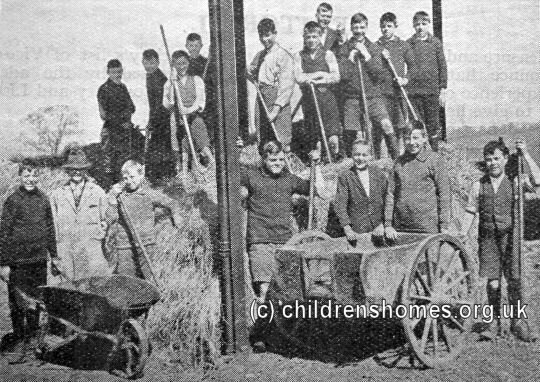 The home relinquished its Industrial School certificate on October 27, 1926, but continued to provide vocational training for boys aged 14-16 under the Society's management. 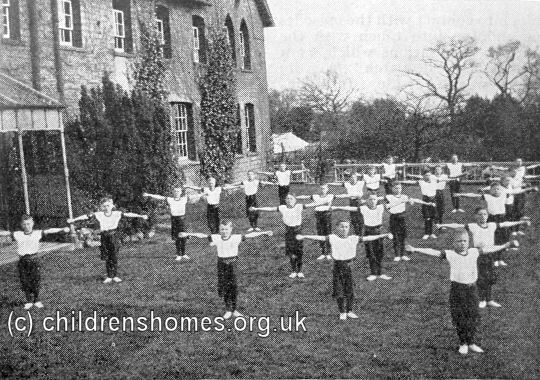 In 1938, the home was certified as an Intermediate Approved School for 80 boys who, as in the earlier era of Industrial Schools, were committed there by the courts. At the start of 1947, serious discontent was brewing amongst the boys at the school. Some of this was due to its isolated rural location and inadequate sports and recreation facilities being provided at the school. This had been exacerbated by a long spell of bad weather. There was also increasing ill-feeling towards the headmaster, Thomas Dawson, particularly over his reluctance to review the readiness of older boys to be released on licence, apparently because their loss from the school roll would cause difficulties in the viability of certain of the school's activities. Dawson had also earned resentment for his restrictions on the how the boys used their weekly pocket-money, and his imposition of collective fines and punishments for misdemeanours had caused bitterness amongst individuals who were innocent. The unrest came to a head on Saturday, February 15th, 1947, when shocking events took place that led to the school's closure. A group of nine boys, who had developed a considerable grudge against the headmaster, decided to kill him and then to abscond in his car after robbing the school's safe and stores. They broke into the school's cadet force armoury and took three rifles, having stolen some poorly secured ammunition from Dawson's quarters the previous day. During their preparations for the attack, however, the boys were discovered by an assistant master, Peter Fieldhouse. One of the group, Gerald Cawley, aged 15, fired several shots at Fieldhouse, inflicting grievous wounds from which he died half an hour later. Panicked by the shooting, the boys mad their escape from the school through deep snow, taking the rifles with them, but they were all captured a few hours later. Four of the boys were subsequently found guilty of Fieldhouse's murder and ordered to be detained during the His Majesty's pleasure. Five other boys pleaded guilty of a charge of conspiracy to murder. A subsequent parliamentary Committee of Inquiry into the events made a number of general recommendations about the management and inspection of approved schools, the licensing of pupils, the storage and use of weapons and ammunition, and the provision of recreational activities. 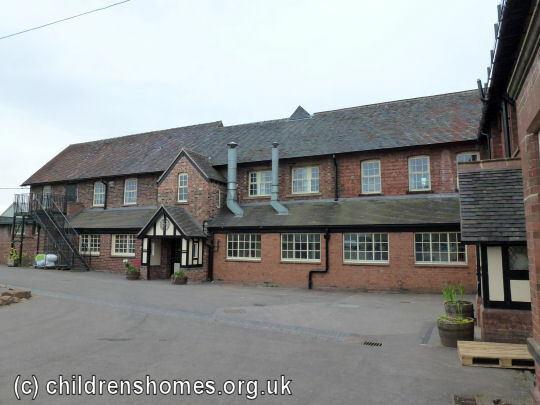 With regard to Standon Farm School in particular, the Committee recommended that the headmaster be dismissed and that the school should be closed. 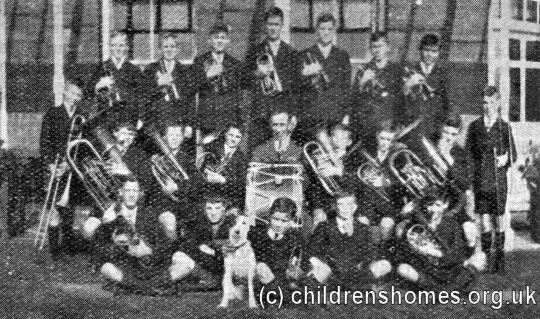 As a result of the bad publicity surrounding the events at the Standon School, the reputation of the Waifs and Strays Society was badly dented. 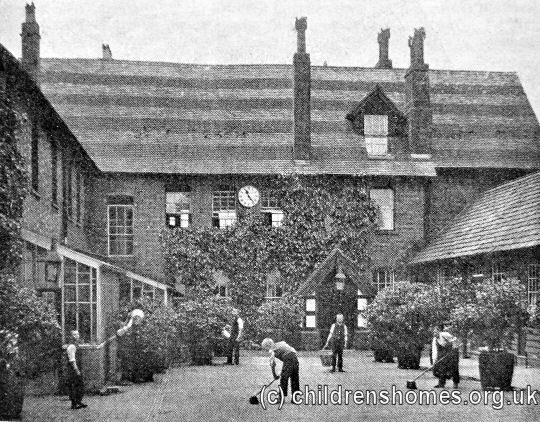 The property later became Standon Bowers Special School. In more recent times, the site has been occupied by the Standon Bowers Outdoor Education Centre.